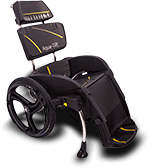 Poolpod Aquatics – This elegant Pool hoist works for pools and disabled people. Will it work in my pool? Pool Hoists – Pool Lifts. Poolpod is a multi-award winning swimming pool lift, appropriate for new build facilities, and replacement of pool hoists in existing pools. 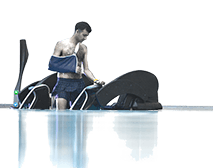 The Poolpod pool platform lift was developed for the London 2012 Olympic and Paralympic games and is now transforming pool access. Poolpod is a perfect replacement for a pool hoist; its compact, easy to retrofit and appeals to swimmers with a wider range of mobility difficulties. The system can lower demands on pool staff and offers the greatest level of independence to customers. Adopting the Poolpod system can attract new customers to a swimming pool. Poolpod is recommended by access professionals and is rapidly becoming the natural choice for new build facilities. The system is a more compact and affordable alternative to an integrated pool platform lift, its mobile giving more flexible pool configurations and reduces the complexity of the pool tank. This TV news movie-clip tells the story of why Poolpod was developed. Please enter a number less than or equal to 120. Does your pool include a 2nd drain channel? Accepted file types: pdf, jpg, dxfdwgzip.